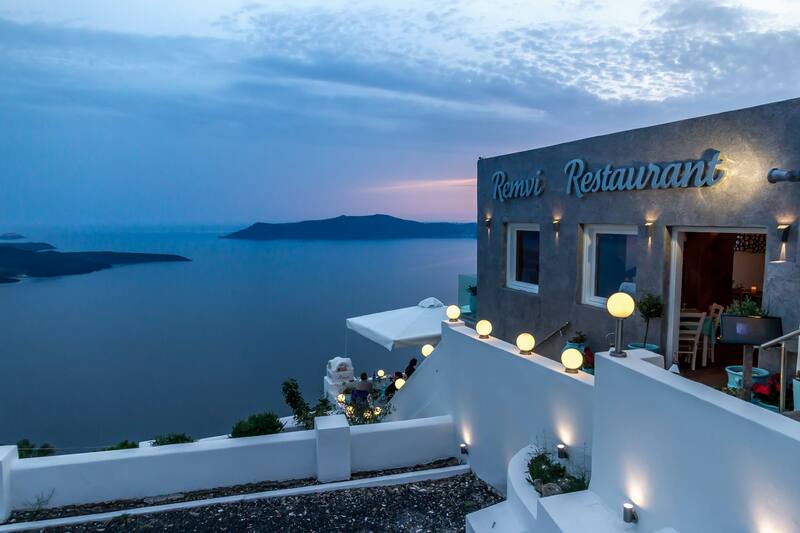 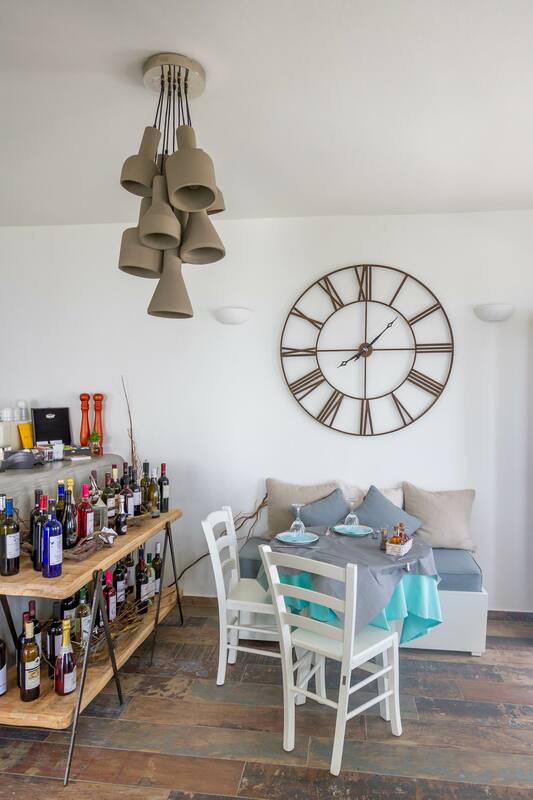 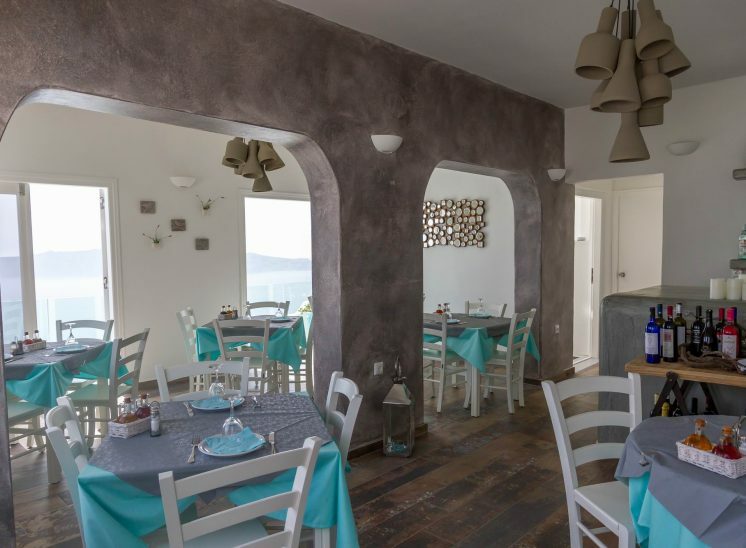 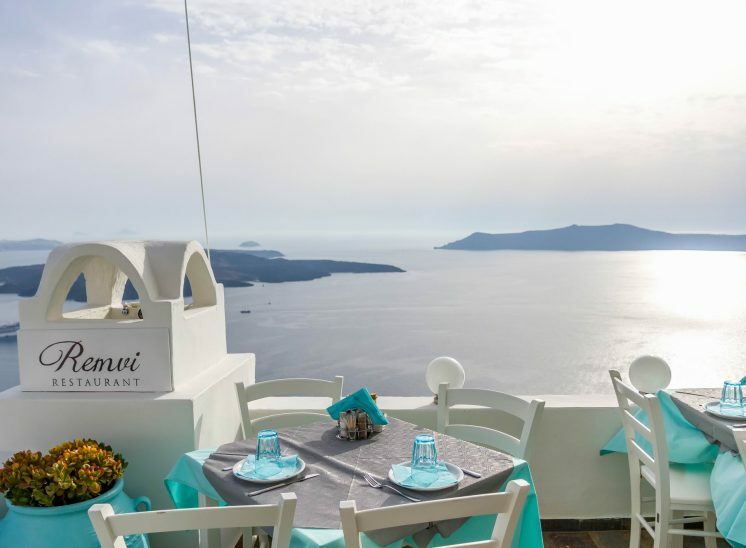 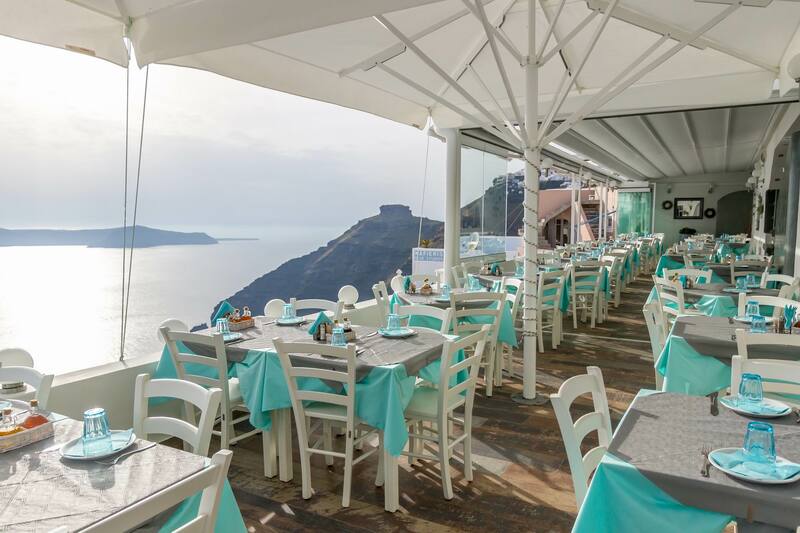 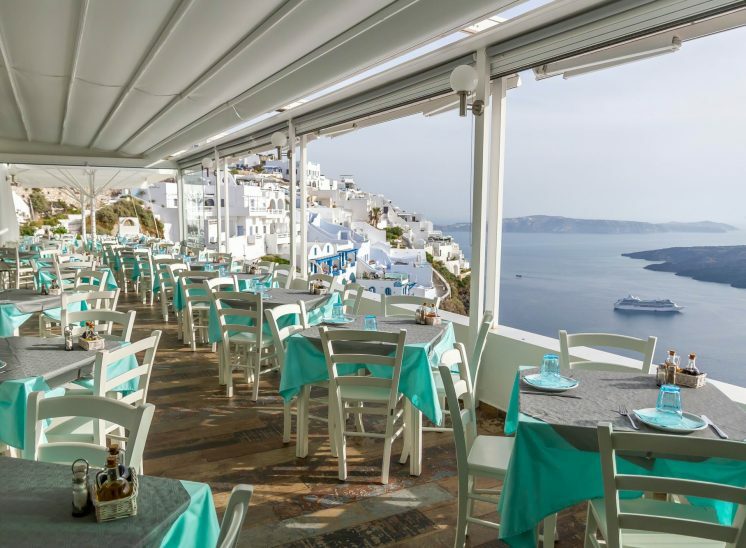 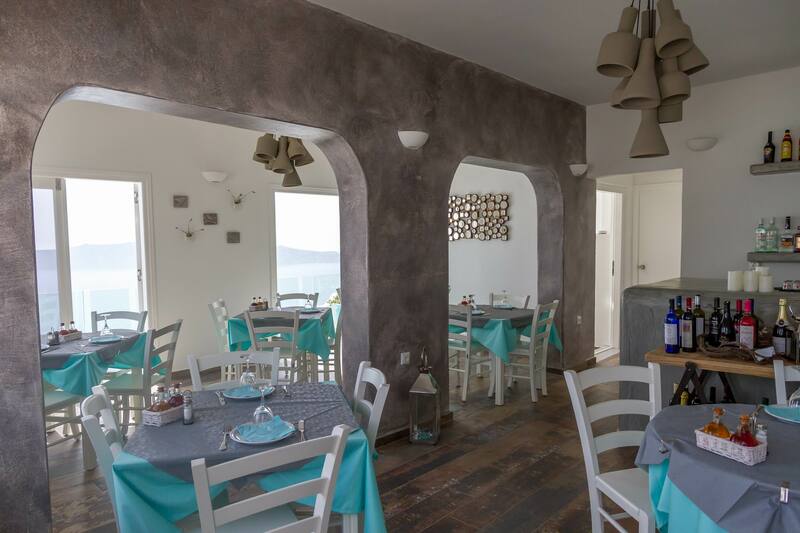 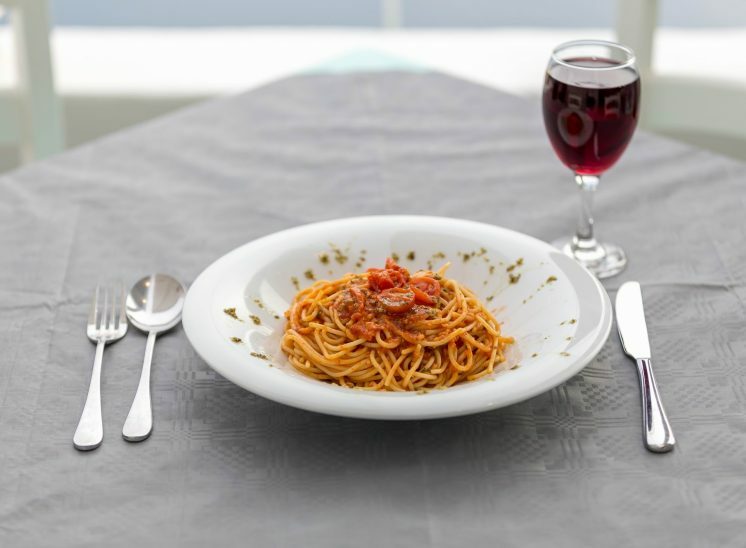 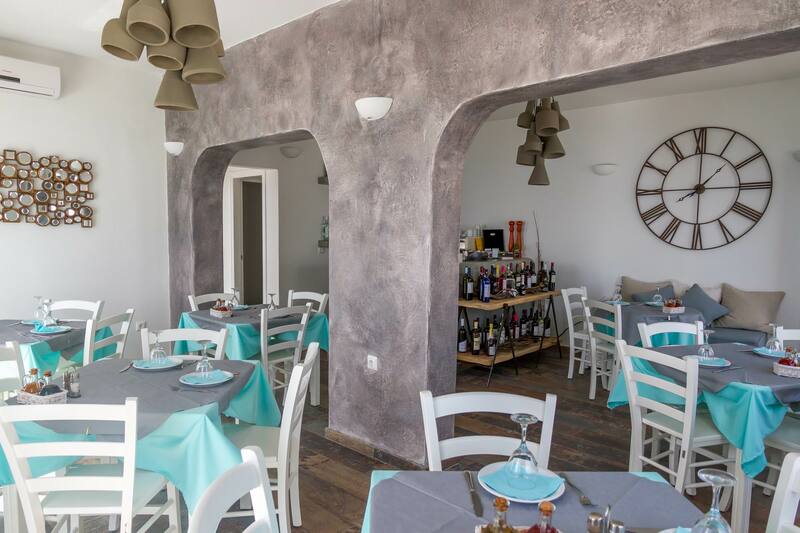 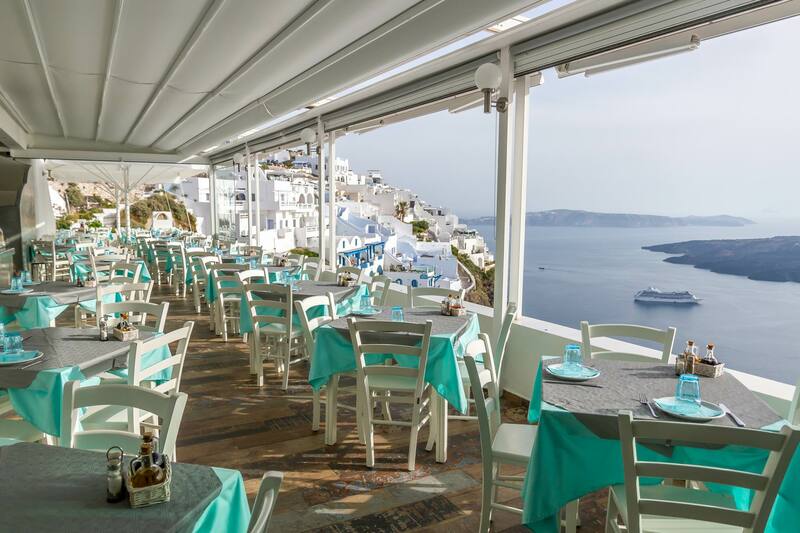 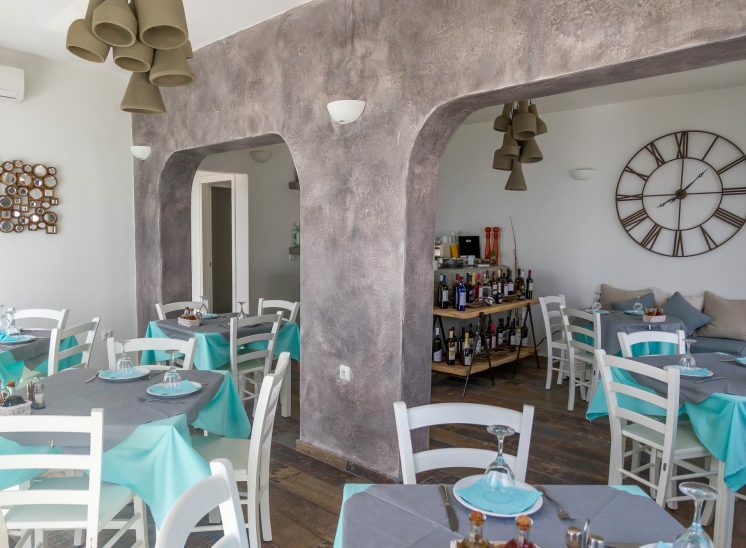 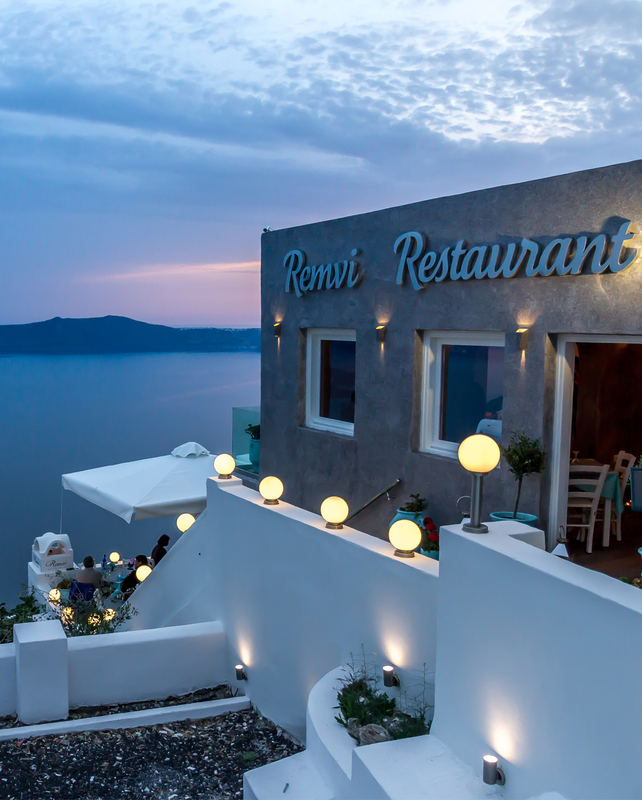 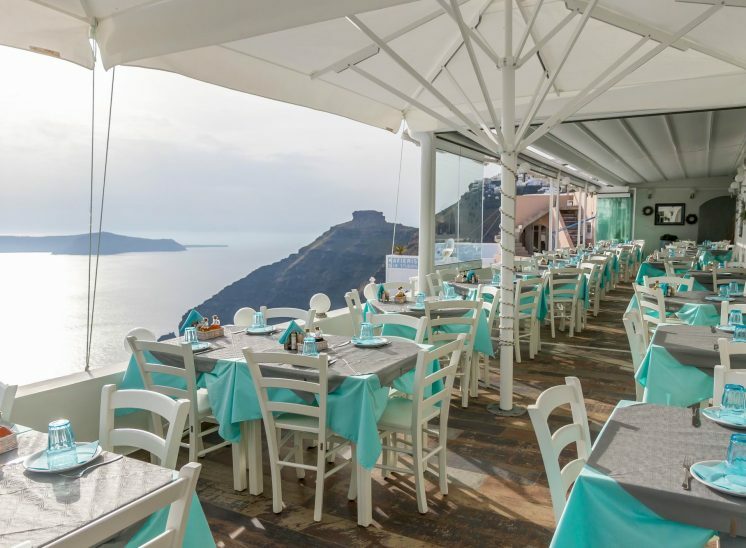 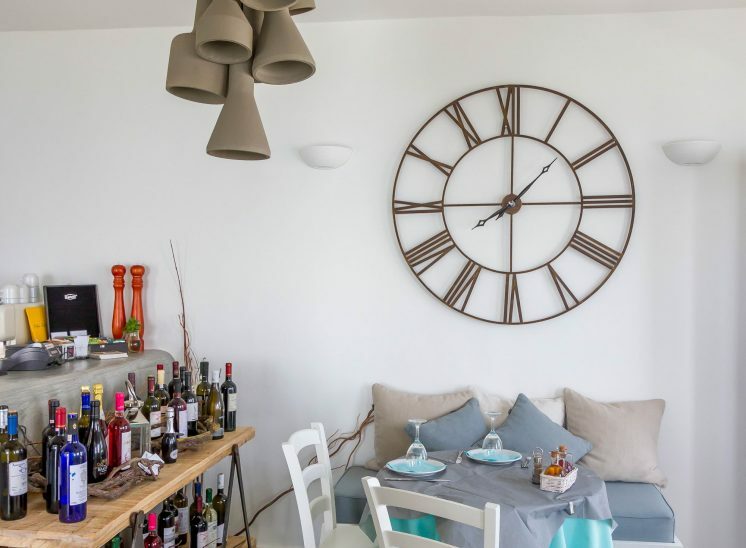 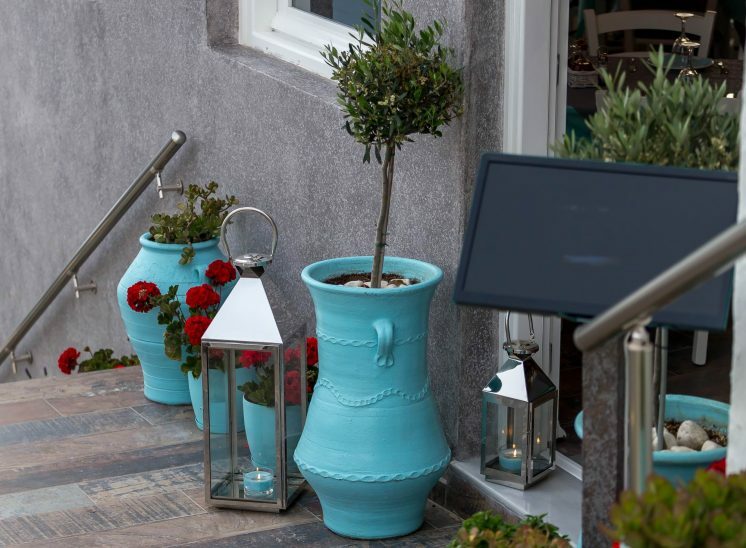 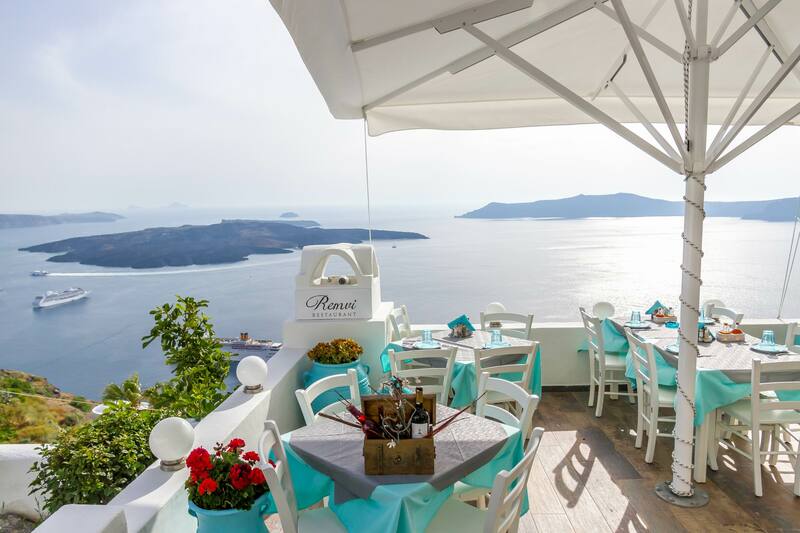 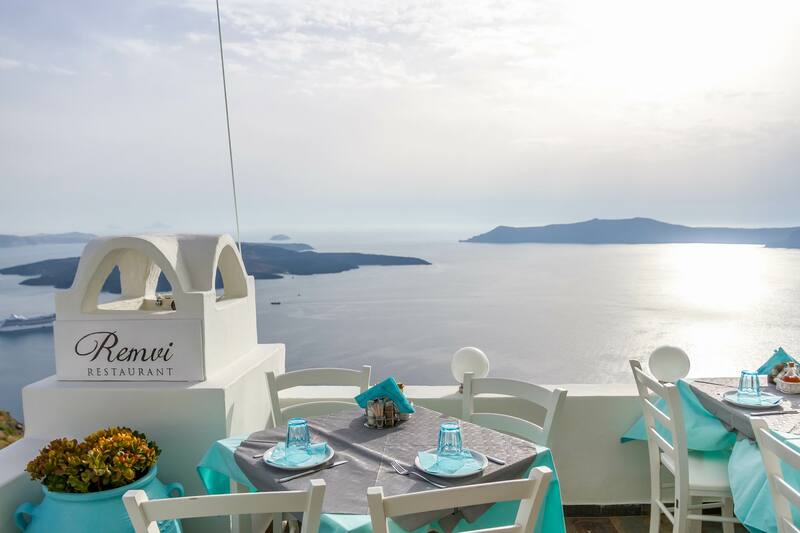 Remvi restaurant located in Santorini in Firostefani, and is ready to serve you. 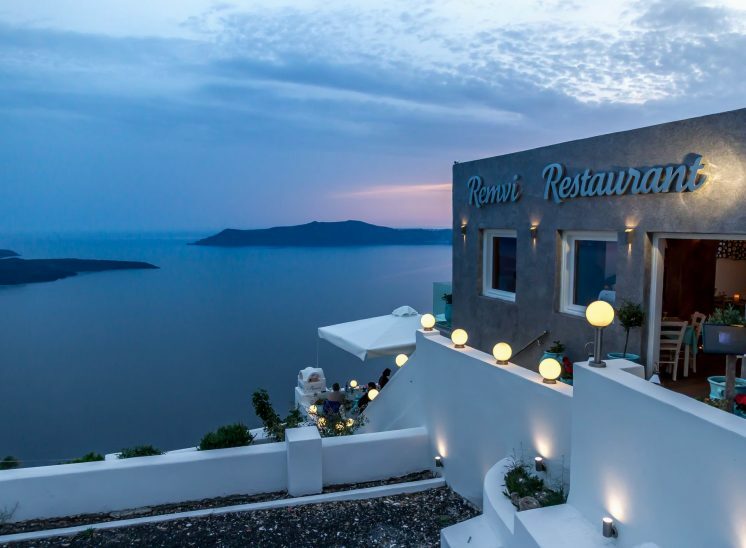 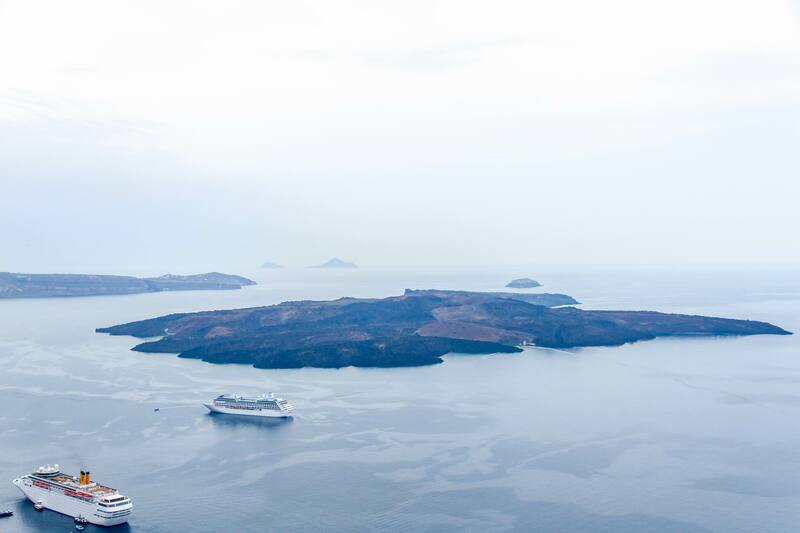 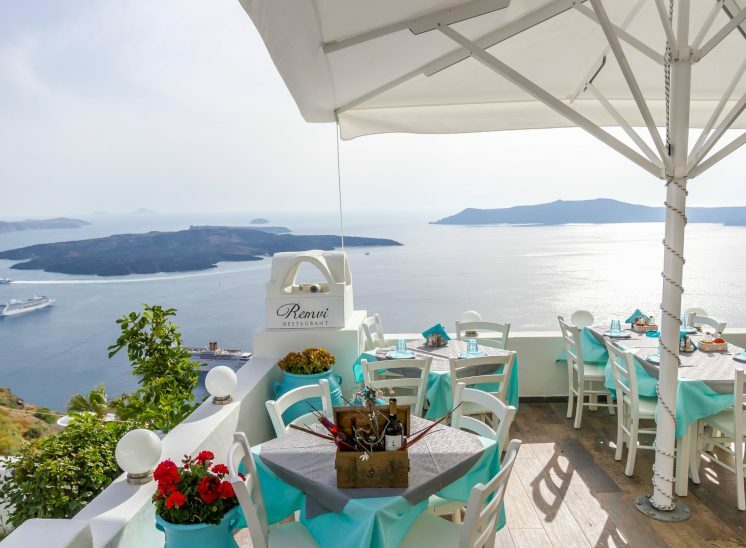 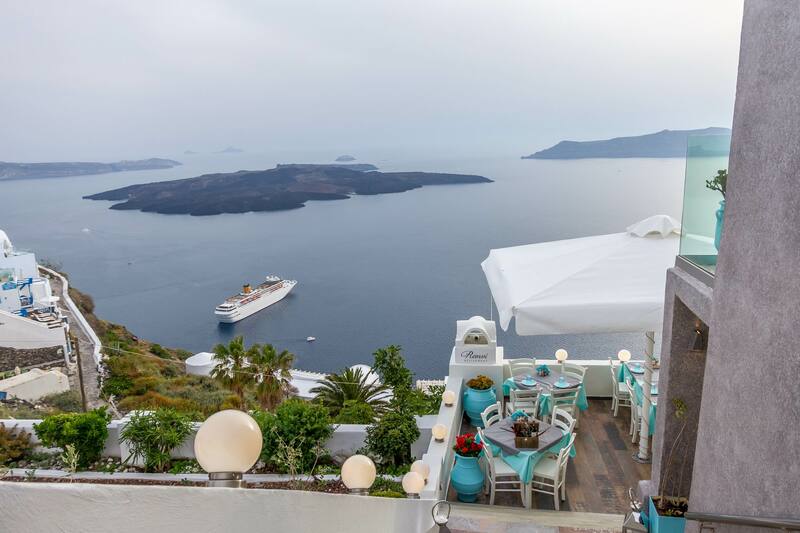 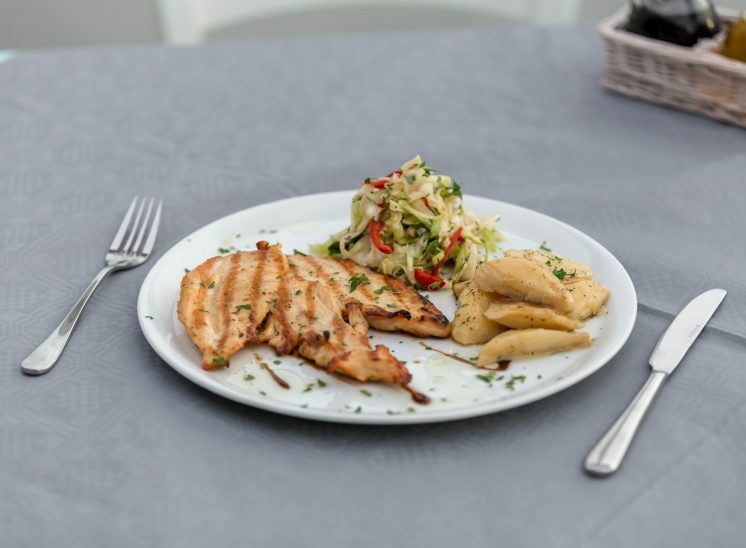 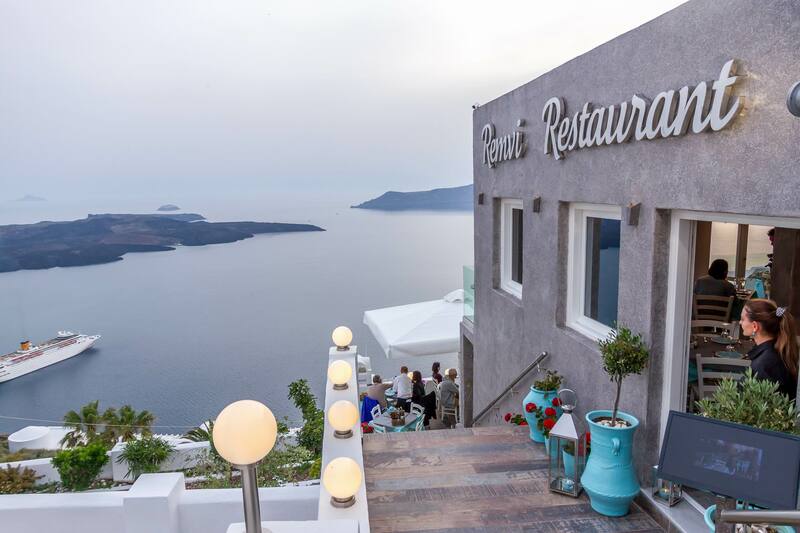 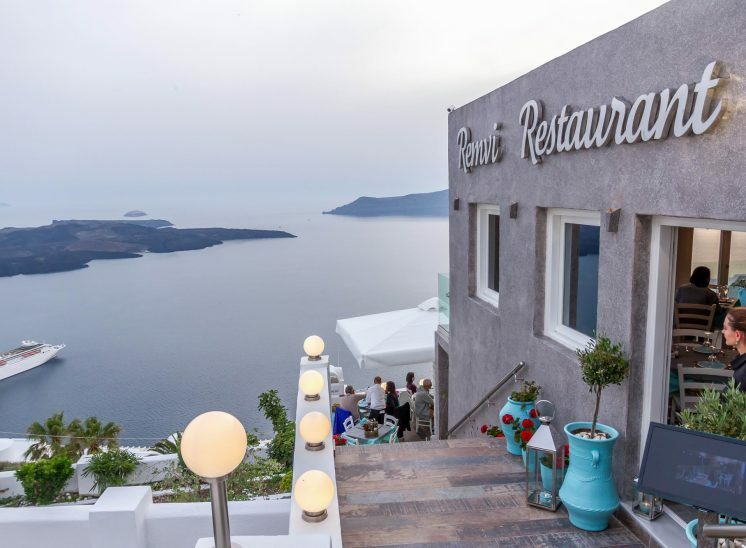 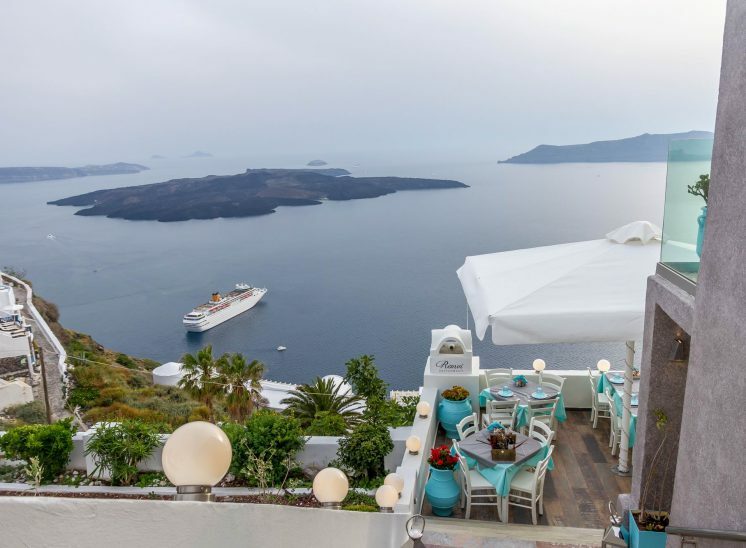 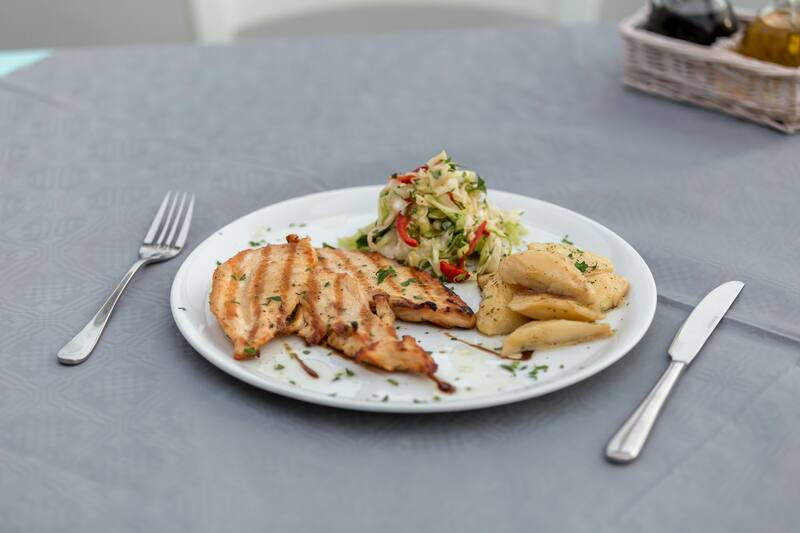 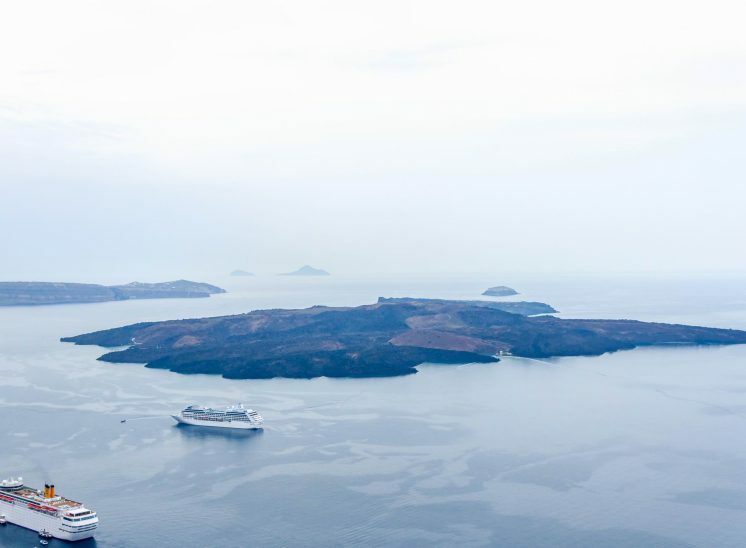 Remvi restaurant combines spectacular views of the volcano and the Caldera, with tasty meals from Mediterranean and international cuisine. Seafood is our specialty. 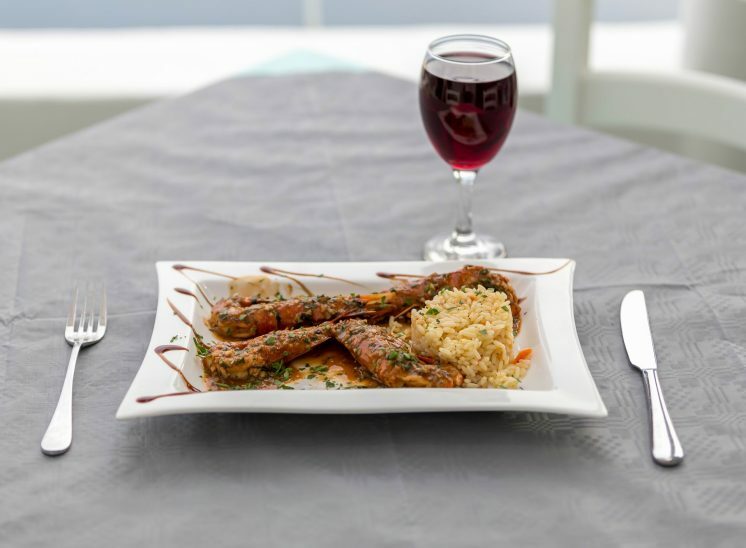 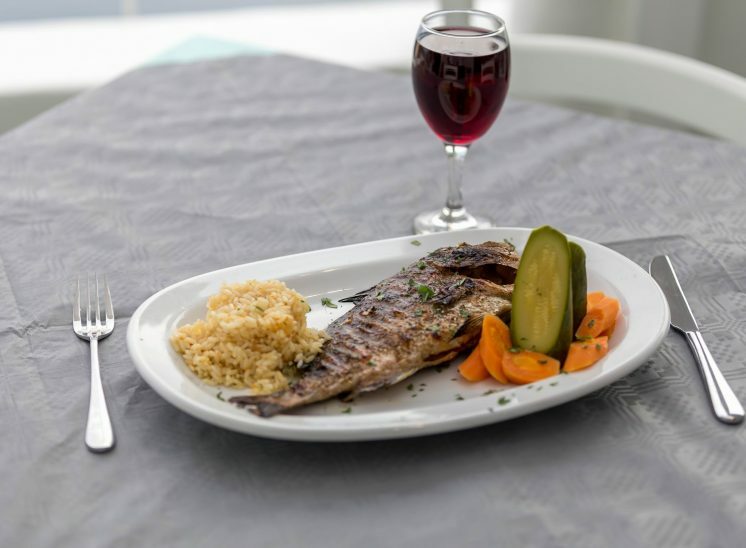 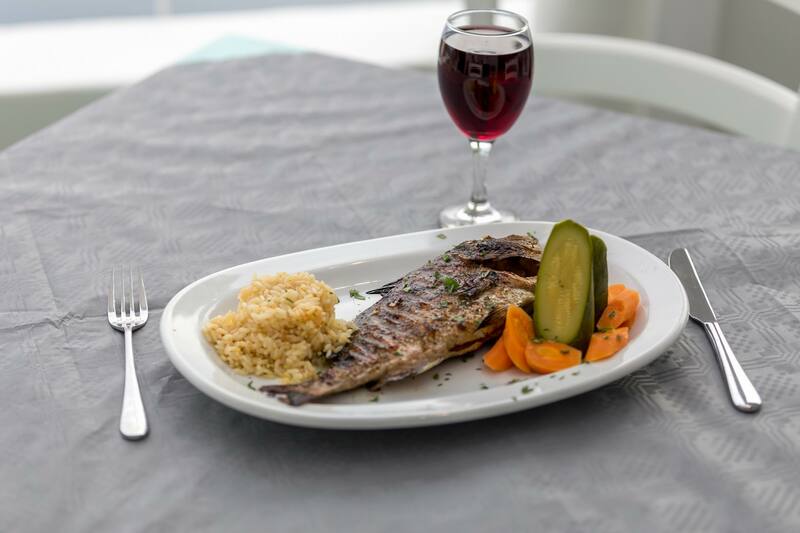 There are daily fresh fish, lobster, etc, from the beautiful sea near our restaurant. 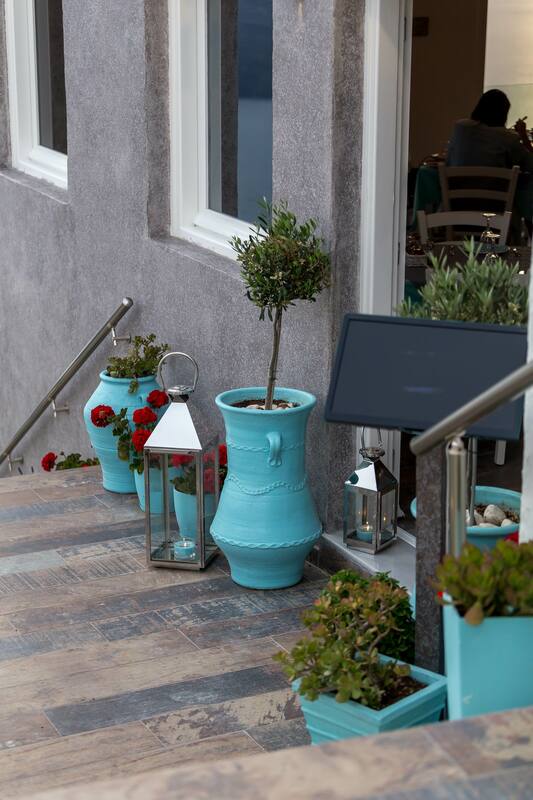 The service is always friendly. 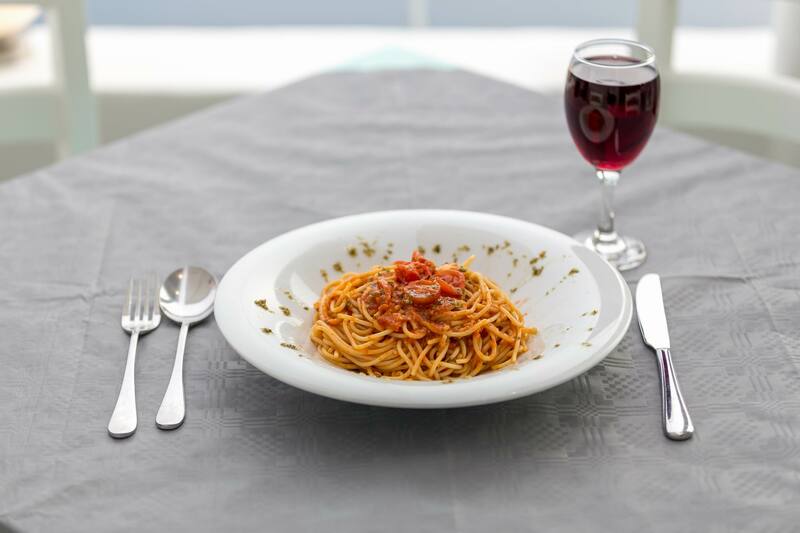 We have all kinds of breakfasts.